Under Church served the father and grandfather of two famous rangers of the eighteenth century: French and Indian War, were actively called "Rangers" and are often considered to be the spiritual birthplace of the modern Army Rangers. The British fought the Spanish in the Treaty of Aix-la-Chapelle in 1748. Beginning in 1689, the colonies also frequently became involved in a American Revolution. War of the Austrian Succession. 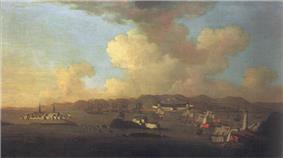 In 1745, naval and ground forces from Massachusetts in the Siege of Louisbourg captured the strategic French base on Cape Breton Island. 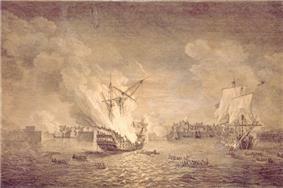 During the war, the French made four attempts to regain Acadia by capturing the capital Annapolis Royal. The most famous attempt being the failed Duc d'Anville Expedition. The French regained fortress Louisbourg at the peace treaty. 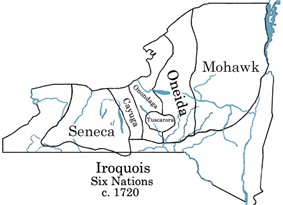 The French led Indian allies in numerous raids, such as the one on Nov. 28, 1745 which destroyed the village of Saratoga, New York, killing and capturing more than one hundred of its inhabitants. 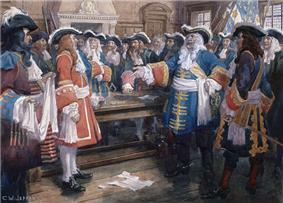 The war merged into War of Jenkin's Ear against Spain, and ended with the Treaty of Aix-la-Chapelle in 1748. The war began in 1754 as Virginia militia led by Colonel was captured at Fort Necessity after ambushing a French company and released. 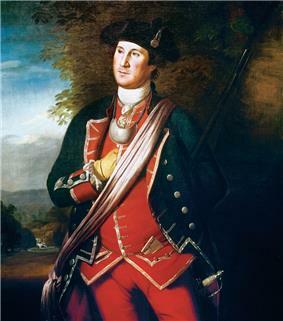 He returned with the 2,100 British regulars and American colonials under British General Edward Braddock, which was decisively destroyed at the Battle of the Monongahela in July 1755. At were surrounded by an overwhelming French force and their Indian allies from many tribes. The British surrendered to the French after having been offered generous terms that included protection from the Indians. Nonetheless, the Indian warriors, whose customs permitted the enslavement of some captured enemy soldiers and the scalping of others, ignored French efforts to prevent the massacre and killed or captured hundreds of the surrendered British force, including women, children, servants, and slaves. Some of those scalped had smallpox, and the scalps were brought to numerous Indian villages as trophies, where they caused an epidemic that killed thousands of Indians. In early July 1758, British General James Abercromby with a force of over 15,000 attacked General Louis-Joseph de Montcalm and his garrison of 3,500 French and Canadian troops at Fort Carillon, which overlooked Lake Champlain. The British had 44 cannons, the heaviest weighing more than 5,000 pounds. The fort, later called Ticonderoga by the British, controlled access to French Canada. Abercromby's force included 5,825 red-coated British regulars including the Royal Highlanders. He had 9,000 colonials from Massachusetts, Connecticut, New York, Rhode Island, New Hampshire, and New Jersey. Some 400 Mohawk warriors joined in. Abercromby's attack became disorganized and he suffered the worst British defeat of the war, with over 2,000 killed. He retreated and the campaign ended in failure. Meanwhile Lord Jeffrey Amherst captured the great French stronghold of Louisbourg on Cape Breton Island (now part of Nova Scotia). 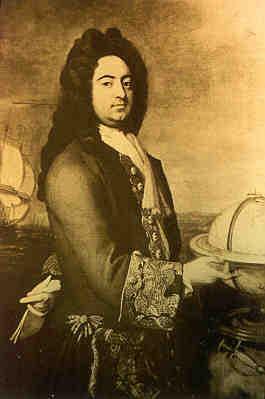 Amherst's large British naval force of over 170 ships and 13,000 men came under furious attack by French defenders until British General James Wolfe found a safe landing spot out of sight of the French. The ultimately successful siege lasted seven weeks. With the fall of Louisbourg, the New England and British forces engaged in the second phase of the Expulsion of the Acadians from the region. In London, Prime Minister fought on the Plains of Abraham decided the future of Canada as British forces under General James Wolfe defeated the French army of General Louis-Joseph Montcalm. Both generals were killed. 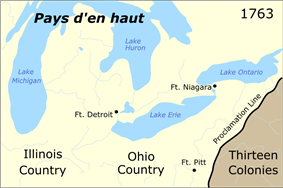 ^ See "The Susquehannock War 1675-77"
^ In 1690 New France had about 12,000 inhabitants, while the American colonists numbered over 200,000. By 1760 the numbers were about 60,000 and 1.6 million, respectively. ^ a b William Williamson. The history of the state of Maine. Vol. 2. 1832. p. 27; Griffiths, E. From Migrant to Acadian. McGill-Queen's University Press. 2005. p.61; Campbell, Gary. The Road to Canada: The Grand Communications Route from Saint John to Quebec. Goose Lane Editions and The New Brunswick Heritage Military Project. 2005. p. 21. ^ William Williamson. The history of the state of Maine. Vol. 2. 1832. p. 27; Griffiths, E. From Migrant to Acadian. McGill-Queen's University Press. 2005. p.61; Campbell, Gary. The Road to Canada: The Grand Communications Route from Saint John to Quebec. Goose Lane Editions and The New Brunswick Heritage Military Project. 2005.p. 21. ^ While New Englanders safely settled the land, not until the treaty of 1752 did Massachusetts officially lay claim to the entire Penobscot watershed, and in 1759 the Pownall Expedition, led by Governor Thomas Pownall, established Fort Pownall on Cape Jellison in what is now Stockton Springs. ^ "The Battle of the Monongahela".